If someone would have told me that touring the town I live in on my bicycle would culminate in a fourteen mile bike ride I would never have believed it. 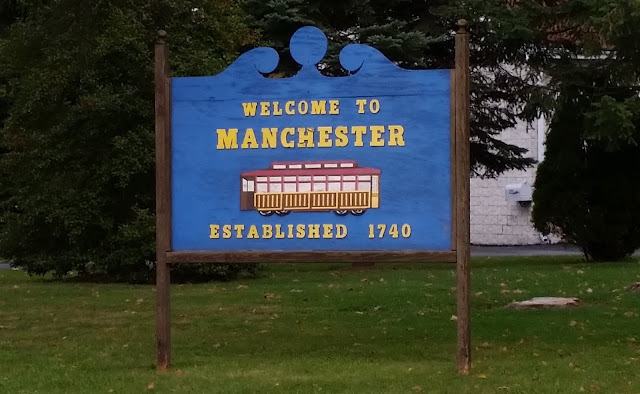 Manchester, Pennsylvania isn't that big of a town. As a matter of fact, the town, with the exception of development and traffic, really isn't that different than it was over 150 years ago! Founded in 1740 by an heir of William Penn, John Nickey, and originally named Liverpool, the borough is small with only one main street. The road through town served as an access to the cities of Harrisburg and York. On June 28, 1863, during the American Civil War, the 17th Virginia Cavalry, on a mission to burn bridges, stopped in Liverpool (Manchester) and Mount Wolf to purchase shoes. They paid with Confederate money. After the Civil War the town's name was changed to Manchester. By the early 1900s, the York Haven Street Railway Company ran a trolley through the town to York. A focal point was Cold Springs Park...the present site of Cold Springs Apartments. With afternoon temperatures in the mid 60s I set off on my bike to just explore the town I have lived in for three years and worked in for twenty one. I just started zipping in and out of all the developments, behind the GIANT grocery store, and then down Forge Hill Road. I had never been on this road and was really surprised how big the loop around the development was. From there I head towards Northeastern High School and Middle School and then shot down towards the Conewago Creek. Before crossing the creek I turned up Park Street. I never knew WHY it was called Park Street until I learned the history of the York Haven Trolley. There are pieces of history all around us. All you have to do is look. 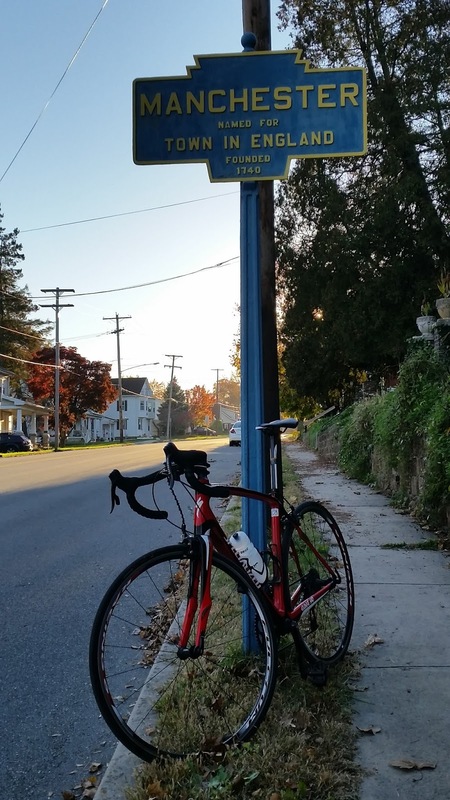 By the time I arrived back to my house I was amazed that I put together a fourteen mile ride that included roads I had never ridden, buildings I had never seen, and, for the most part, avoided traffic. So....instead of wondering where you will ride, jog, or walk today....just go out and explore where you live. You might be surprised what you find. After all...life is a journey, not a destination. 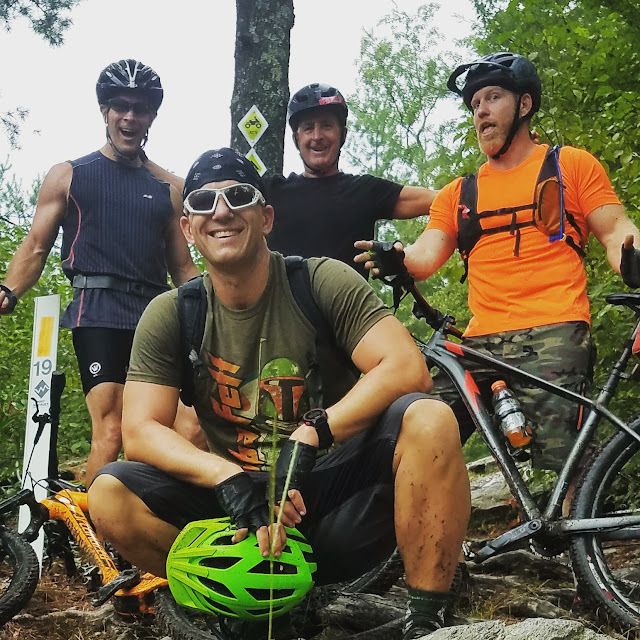 Be sure to check out the new website for ALL TRAILS LEAD TO ICE CREAM to see all of our ride pics, trail maps, and so much more!